It is extraordinary, as Travis Andrews writes for The Washington Post. “The story of grunge is also one of death.” Eddie Vedder is the only lead singer alive among the quadrumvirate of Seattle bands that defined alternative rock in the early 90’s. “Alt-rock” soon became the mainstream, and the mainstream benefited. It is rare when pop culture coincides with genuine artistry, but it happened in 1991. Even the second generation of bands in the mid-90’s (The Smashing Pumpkins, Candlebox, Bush, Collective Soul, Live, Garbage, etc.) were remarkably good on the whole, even when derivative. It happened because of Seattle at the dawn of a new decade. There was a creative burst of energy that pulsated for years to come. Among those who know the details of this burgeoning Seattle scene, Chris Cornell was perhaps the sine qua non of the whole thing. He was the roommate of Andrew Wood, the lead singer of Mother Love Bone, whose untimely death inspired Cornell to form Temple of the Dog in 1990. This was a tribute project involving members of Soundgarden and Pearl Jam, featuring Eddie Vedder (a new arrival in Seattle) trading vocals with Cornell. With “Hunger Strike,” two of the greatest vocalists of the 90’s were on the verge of nationwide success. All of this happened in rapid succession. Temple of the Dog’s album was released in April of 1991. Pearl Jam’s debut album, Ten, was released in August. Nirvana’s Nevermind was released in September. Soundgarden’s breakthrough album, Badmotorfinger, was released in October. Those three months in the late summer and early fall of 1991 changed everything for rock ‘n’ roll. And we cannot forget Alice in Chain’s Facelift from the previous year. The only comparable moment was in 1969, which witnessed The Who’s Tommy, The Rolling Stones’ Led It Bleed, Led Zeppelin’s self-titled debut, and Creedence Clearwater Revival’s incredible release of three albums: Bayou Country, Green River, and Willy and the Poor Boys. Both of these periods were also high points in country music, but I can discuss that at another time. The grunge themes were angst-driven and targeted the disaffected. Pearl Jam’s “Jeremy” video is probably the best known example of this. A song about suicide is not typically part of a winning formula, but it — to repeat myself — resonated widely. Soundgarden’s iconoclastic “Jesus Christ Pose” is another great example. And this past week, we saw yet another frontman die. 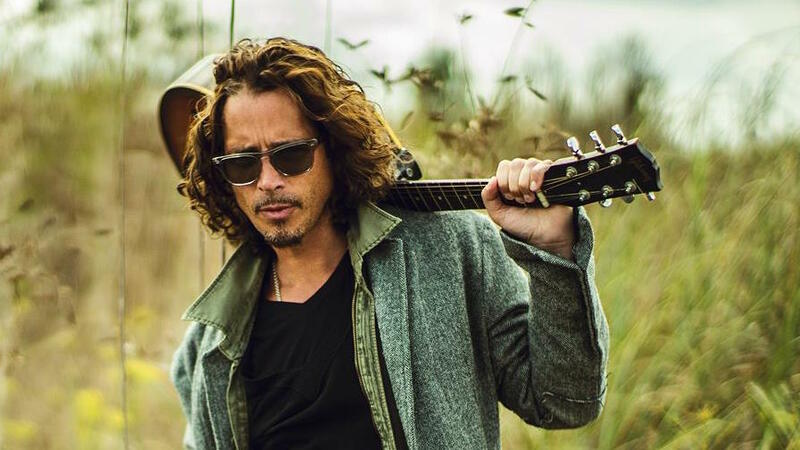 Soundgarden’s Chris Cornell committed suicide, perhaps under the influence of Ativan medication’s side effects. I was too young for Kurt Cobain’s death to have much of an affect. But Layne Staley’s death was quite a blow. I love Alice in Chains, and Jar of Flies is my favorite grunge album. Staley died on April 5, 2002. I saw Jerry Cantrell — Alice in Chains’ guitarist, songwriter, and co-vocalist — play in Charlotte on April 27, which I believe was his first show after Staley’s death. He was incredible and played several AiC songs (see the setlist), which was an emotional experience for the fans singing every word in each song. On the same day and at the same event, I saw Stone Temple Pilots, which had reunited with Scott Weiland (and broke-up again later that year). Weiland died in 2015 from a drug overdose, just as Staley died in 2002. And that was why I wanted to write this post. I simply wanted to share this fantastic performance of “Fell on Black Days” from Chris Cornell. The paragraphs above are just some thoughts and some history for context. From this session with Sirius XM, he also performed “Nearly Forgot My Broken Heart” and a haunting cover of Prince’s “Nothing Compares 2 U.” At over 10 million views, the Prince cover has been the most shared on social media. My God receive his soul and and may the Holy Spirit comfort his wife and children. Thanks, it took way too long to figure-out a new template that I liked. I went through dozens before finding one that had the features I wanted. When I first shifted from a white standard format, it took while to choose. The only thing I don’t like about my current WordPress format is the absence of any author attribution.